It seems her Beagle was running her ragged. She still had a smile on her face and wouldn’t swap him for the world so it wasn’t all bad. Beagles are hounds and have been around for over 2000 years however, the modern version of the Beagle wasn’t developed until the 1830’s. It is thought they were bred from the Talbot Hound, the North Country Beagle and the Southern Hound. Due to their amazing sense of smell they were used to track Hare, Deer, Rabbits and other small game. Nowadays they are used as detection dogs sniffing out contraband agricultural and food products, narcotics and even insect pests. During the 1950s a test was carried out to see how good a Beagles sense of smell was. A mouse was placed in a field 1 acre square. Fox terriers took over 15 minutes to find the mouse. Scottish Terriers didn’t find it at all but the Beagles took less than a minute. That is one sensitive hooter! Beagles are popular additions to a household. They are sturdy looking dogs, have short hair (so easy to groom), lovely soft ears and have a loving personality. They are sweet and gentle and, whilst they are a little standoffish with strangers, they are soon won over and are very happy to see everyone. You only have to look at their waggy, sticky-up tails to see how pleased they are. Beagles are great around children and other dogs. However, due to their hunting instincts, they will need to be socialised from a very early age with non-canine pets so they are used to them and know not to chase or harm them. You will need plenty of patience when training a Beagle as they are very strong minded. Many Beagle owners have said they have found it hard to get them to do as they are told and have trouble getting the dog to come back to them after it has picked up a scent. 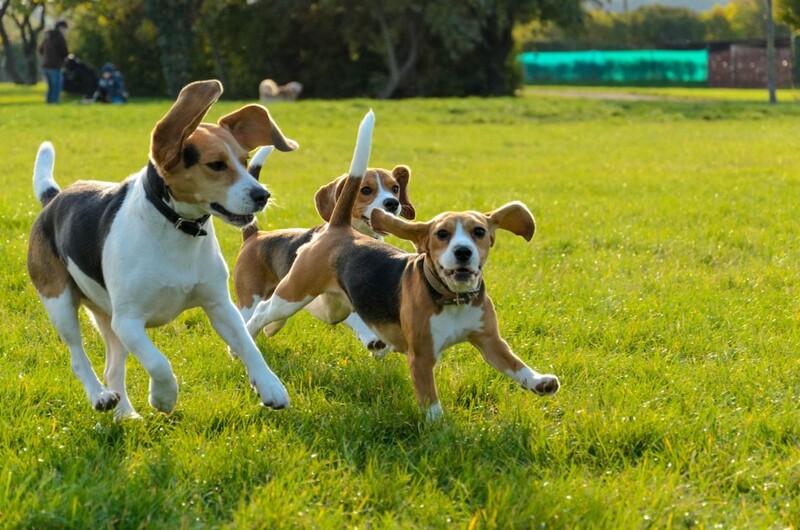 Beagles can be distracted very easily and lose focus so you need to make sure they are sufficiently mentally stimulated to ensure they do not get bored. Beagles have lots of stamina so it’s hard to tire one out. However, plenty of walks and playtimes will help keep them fit, healthy and mentally stimulated. 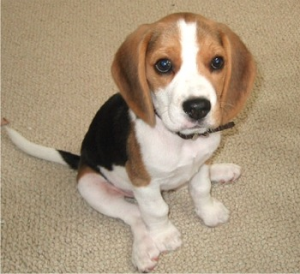 It will also help control their weight as Beagles are prone to gaining more than a few pounds. Obesity (which can lead on to other health issues) – Read our blog HERE regarding overweight pets. Regular health checks with our vet will ensure any problems are picked up and treated at the earliest opportunity so your Beagle will have a long, happy and healthy life. If you have any question about this feel free to leave a comment on our Facebook page and one of our vets or nurses will get back to you ASAP.